Learn how to work the anterior deltoids and lift the upper chest with Athletic Strength and Fitness Expert Jonathan Williams. 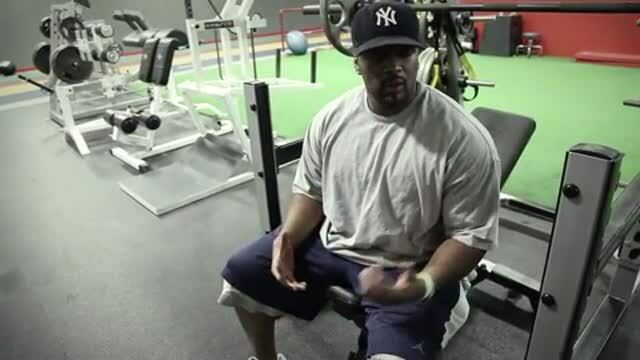 In this video Jonathan Williams will demonstrate several moves to get you ripped. In the Below Program we altered just a bit with some of the exercises Jonathan covered. The reason is because we want to give alternatives to some of the movements as many individuals do not have the luxury of the machines that were used in this feature. However, If you do in fact have access to these machines we encourage you stick with the program as outlined in the video. Good luck and as always to get a massive amount of workout programs and updates login or sign up to the Trainer.